The Saint Louis Wind Symphony is dedicated to preserving and performing quality wind band music, supporting music education and commissioning new works. The Saint Louis Wind Symphony (SLWS) was founded in 1998 as an avenue for music educators to continue to perform. 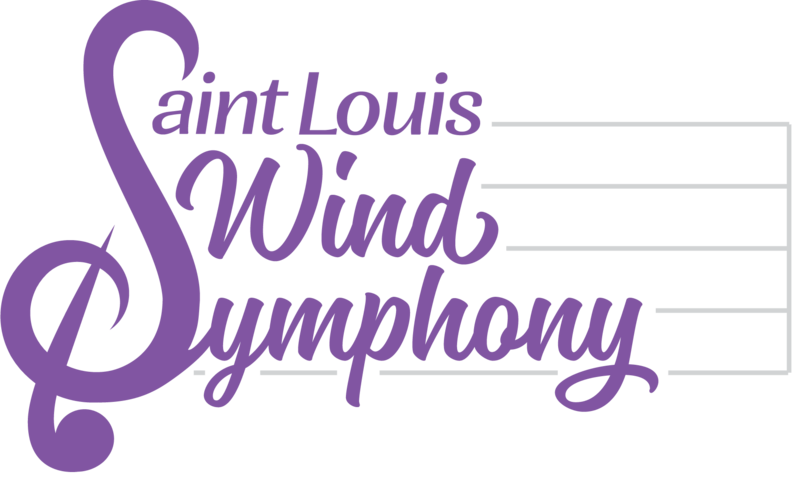 Founded by Dan Presgrave and a core group of musicians, the Saint Louis Wind Symphony was established as a non-profit, all volunteer concert band dedicated to the highest-quality performance of the best wind literature. Four concerts were performed at four different Saint Louis metropolitan area high schools. The Saint Louis Wind Symphony chamber winds was founded in the spring to perform smaller scale wind repertoire. The Saint Louis Wind Symphony enticed more players to join and enlarged its audience. The group established a subscription concert series and moved their performance home to the Saint Louis Art Museum as part of the museum’s educational programming. Christmas pops concerts were held at both the Florissant Civic Center and Hoover Boys & Girls Club. The Saint Louis Wind Symphony began an ongoing relationship with Kjos Music Publishing Company to make reference recordings for their catalog of new music. The audience and the ensemble’s reputation continued to grow. Saint Louis Wind Symphony sponsored the first Middle School Festival which allowed students to perform solos and ensembles in a workshop setting. This was the first year the group traveled, playing at the Missouri Music Educators Association at the Lake of the Ozarks. 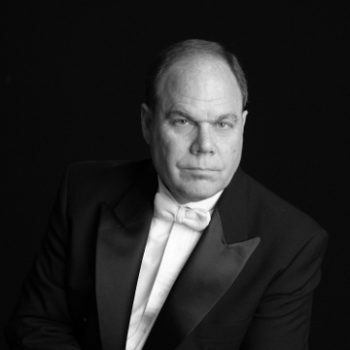 This third season welcomed the addition of Associate Conductor Ken Thompson. The Saint Louis Wind Symphony was making a name for itself. The subscription series continued to be a success. Summer pops concerts were added. The Wind Symphony was honored to be invited to play at the Missouri Band Masters Association. The Saint Louis Wind Symphony continued to reach out to the community with a holiday concert in Godfrey, Illinois, and a standing room only holiday concert at St. Mary and Joseph Catholic Church in St. Louis. The summer was filled with concerts in the park and an appearance at the Saint Louis Art Fair. Saint Louis Wind Symphony continued its busy concert schedule in their new venue at Missouri Baptist University. They had the honor of performing for the American School Band Directors Association. 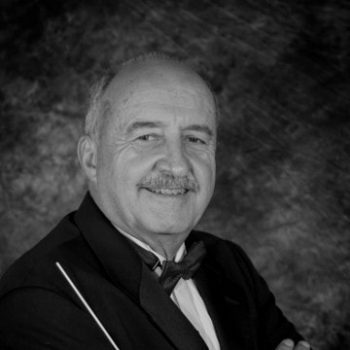 Conductor Ken Thompson left to pursue a Masters in conducting, and Tom Poshak, newly retired as director of the Kirkwood High School Band, joined the Saint Louis Wind Symphony as Associate Conductor. That year the Wind Symphony joined the Kirkwood Children’s Chorale in their Christmas concert. The Saint Louis Wind Symphony became part of the Kirkwood community with the encouragement and support of Mayor Mike Swoboda. We performed again with Kirkwood Children’s Chorale. The Wind Symphony was honored to be invited a second time to perform at the Missouri Band Masters Association. Always striving to connect with area music students, a program was begun for local band directors who could nominate their top players to join the wind ensemble in rehearsal. The 10th Anniversary Season began with a musical journey to the 1904 St. Louis World’s Fair. Selections that were performed by world-renowned concert bands at the fair were again performed by the STLWS, the featured soloist was Tim Myers, euphonium. The season continued with a shared concert with the Truman State University Wind Ensemble (dedicated in memory Lowell Brunner), a concert dedicated in memory to long time Wind Symphony member Sam Goldstein, a concert at St. Paul United Church of Christ, Belleville, IL and a shared concert with the University of Missouri-St. Louis Symphonic Band under the direction of Gary Brandes with guest conductor Robert Nordman. The Holiday Concert tradition continued with concerts at Concordia Lutheran Church and one sponsored by the Carondolet Betterment Association. The 10th Anniversary Concert featured Carolbeth True, piano and her quartet Two Times True. Music on that concert included Claude Smith’s Festival Variations, Jared Spears’ Honor, Joy and Celebration and concluded featuring Carolbeth True as soloist on Gershwin’s Rhapsody in Blue. As the 10th season drew to a close it brought a time of reflection. Who had the Saint Louis Wind Symphony reached in its love for and its expression of music? How far had it come? What goals were there yet to reach? It had truly become the premier wind ensemble in the Saint Louis metropolitan area, with a reputation for quality performance that was spreading across the country and plans to continue to share the joy of music for years to come. The second decade, 11th Season, of the Wind Symphony began with four themed concerts: New Horizons (excerpts from the Manzoni Requiem – Verdi, and two movements from de Meij’s Symphony No. 1); American Salute (Sasha Takes a Train – Portnoy and Lincoln Portrait, Don Marsh, Narrator); Old Wine in New Bottles (Variants on a Mediaeval Tune – McBeth, and Variations on a Theme by Schumann – Jager, and a community/school antiphonal brass group performed on Claude Smith’s God of our Fathers); How the West Was Won (Cowboy Rhapsody – Gould, and Sasparilla – Mackey). The Holiday concerts included a shared concert with the Kirkwood High School Jazz Band, Jeff Melsha – Director, and the annual Carondolet Betterment Association concert. The theme for the 12th Season was “Dedications, Commissions and Celebrations”. Selections performed during the season included: Symphony No. 2 – Chance, Caccia and Chorale – Williams, Fantasy Variations – Barnes, Elegy for a Young American – Lo Presti, Trittico – Nelhybel, Cathedrals – Salfelder, Diamond Variations – Jager, and Variations on a Hymn by Louis Bourgeois – C. T. Smith. This season also included performances on the campus of East Central College, Union, MO and a shared concert with the Kansas City Wind Symphony at Village Presbyterian Church in Prairie Village, Kansas. The summer of 2010 included the first Patriotic/Pops concert by the Wind Symphony as part of the Concert Series at the Foundry Art Centre, St. Charles, MO. “The Sounds of Music” was the theme for the 13th Season. The September, November and March concerts included: Second Suite in F – Holst, Sinfonietta – Jager, Masquerade for Band – Persichetti, Overture to La Belle Helene – Offenbach, Variations on Aurelia by Wind Symphony member Dallas Blair, Suite in Bb – Jacob, Be Thou My Vision – Gillingham, and Short Ride on a Fast Machine – Adams. The Kansas City Wind Symphony performed with the us in March at the Touhill Center on the University of Missouri-St. Louis campus. The first Wind Symphony Conductors Workshop was held in January and featured Colonel Arnald Gabriel, U.S. Air Force retired, Conductor Emeritus of the USAF Band. In addition to serving as the workshop clinician Colonel Gabriel also guest conducted on the January concert. Works on that concert included: Flight – C.T. Smith, Russian Christmas Music – Reed, and Italian Rhapsody – Giroux. Also performing on this concert were trumpets from the Illinois and Missouri All-District Bands and members of the Kirkwood High School Wind Ensemble. This season the Wind Symphony traveled to McKendree University, Lebanon, IL, as part of our Illinois outreach program, appeared in Hermann, MO as part of their Community Concert Series, and the Concert Series at the Foundry Art Centre in St. Charles, MO. The theme for our 14th Season was “A Salute to the American Spirit”. Performances during the 14th season encompassed these facets of American music: Composers, Arrangers, Stage and Screen, Patriotism, History, Jazz and Original Band Music. Major pieces performed on the September, November and February concerts included: American Overture for Band – Jenkins, American Faces – Holsinger, October – Whitaker, San Antonio Dances Ticheli, The Freedom Chronicles – Spears, Fantasy Variations – Barnes, Firestorm – Bulla, An Outdoor Overture – Copland, Andrea Chénier (excerpts) – Gioridano, and White Noise – Hultgren. February also included another touring concert at East Central College in Union, MO. In March, the Wind Symphony shared a concert with the Fort Zumwalt North High School Band directed by Rob Babel. This concert included: Divertimento for Band – Persichetti, Poem for Flute and Wind Ensemble (Shelly Monier, Flute), By Dawn’s Early Light and Punchinello – Reed. The University Wind Ensemble, from the University of Missouri-St. Louis, directed by Gary Brandes shared a concert with the Wind Symphony in April. Again this season the Wind Symphony traveled to McKendree University, Lebanon, IL, as part of our Illinois outreach program, appeared in Hermann, MO as part of their Community Concert Series, and again were part of the Concert Series at the Foundry Art Centre in St. Charles, MO. The theme for the 15th Season was “Music, Music, Music”. Music performed on the September, November concerts included: Fantasia in G – Mahr, Pineapple Poll – Sullivan, Colonial Song Grainger, Danzón No.2 – Márquez, A Festival Prelude – Reed, Early Light – Bremer and El Salon México – Copland. Featured soloist on the November concert was Thomas Jöstlein, French Horn, and a member of the St. Louis Symphony. He performed on his own arrangement of Sur Les Cimes – Bozza. The February program was a Bernstein Tribute and included the complete Symphonic Dances from West Side Story and many others of his familiar works. In March the Wind Symphony shared a concert with the Normandy High School Band under the direction of Thomas Moore. Music performed included: Colas Breugnon Overture Kabalevsky, Merry Mount Suite – Hanson and Blue Lake Overture – Chance. In April the Wind Symphony made it’s second trip to Kansas City this time sharing the stage with the Northwinds Symphonic Band. Other appearances during this season included a concert at McKendree University, Lebanon, IL, as part of our Illinois outreach program, and another as part of the Concert Series at the Foundry Art Centre in St. Charles, MO. Our 16th Season was an historic one for the Wind Symphony from an appearance at the Missouri Music Educators Association (MMEA) State Conference, the premier of our first-ever commissioned work, and the premiere of a new work by Dr. Jared Spears, our Artist-in-Residence. This season also marked the beginning of our association with the Skip Viragh Performing Arts Center, Chaminade College Preparatory School, as the venue for our regular season concerts. The theme for the 16th season was “Honor, Joy, Celebration”. Music performed on the September, November and February concerts included: Symphonic Suite, Masque, Unleashed by Jared Spears (premiere performance), Fort McHenry Suite, I am, Molly on the Shore, Symphony for Band (Giannini), Tunbridge Fair, Equipoise and Symphony No. 2 (Gould). Gary Gackstatter guest conducted his own arrangement of All Creatures of our God and King. The January 2014 MMEA concert included: Emblem of Unity March, Firefly, One Life Beautiful and Alborada del Gracioso. The March 2014 Sam Goldstein Commission Concert, the culmination of a seven-year effort, was highlighted by the premier of Andrew Boysen’s Symphony No. 7 – “Symphony for Sam”. A $500 French Horn Scholarship, in honor of Sam Goldstein, was presented to Danielle York from Carl Junction (MO) High School. Other appearances – concerts at McKendree University, Lebanon, IL, as part of our Illinois outreach program; and at East Central College, as part of the Missouri Arts Council Touring Program. Holiday concerts were presented at the Foundry Art Centre in St. Charles, and at the Skip Viragh Performing Arts Center with students from the Chaminade High School Band. The Summer Season brought us back to the Foundry Art Centre in St. Charles, MO. and Kirkwood Park, Kirkwood, MO. “Strike Up The Band” was the theme for 2014-15. The season began with a performance of Capriccio Espangnol, included a conducting workshop and concert featuring Col Arnald Gabriel and concluded with a tribute to J. S. Bach and the presentation of the Sam Goldstein Memorial French Horn Scholarship (Olivia Bolden a junior at Rockwood Summit H.S.) Music performed on the September and November concerts included: Festivo, Children’s March, Old Commrades, Symphony for Band (Hindemith), March from Symphonic Metamorphosis, Into the Ages, Finale from Symphony No. 3(Mahler), The Alcotts. The February concert featured Col. Gabriel conducting La Forza del Destino Overture, Gabriel’s Oboe (Cathy Woebling-Paul, soloist) The Free Lance March and the Overture to Orpheus and the Underworld. The concert also featured guest Alto Saxophone soloist Master Chief Dale Underwood, USN (ret.) performing A Gershwin Fantasy and Oblivion. The Final concert of the year in March was a shared concert with the NorthWinds Symphonic Band from Kansas City, MO. Selections performed by the Wind Symphony included: JoyRiDE, Te Deum from Tosca, Geometric Dances, Second Prelude, J. S. Jig and a transcription of J. S. Bach’s organ masterpiece Toccata and Fugue in d minor. A $250 French Horn Scholarship in honor of Sam Goldstein was presented to Olivia Boden a junior from Rockwood Summit High School. Holiday concerts were presented in a shared concert with Chaminade HS Band and included Chaminade band students performing with the Wind Symphony and at the Foundry Art Centre in St. Charles. Summer concerts were presented at the Foundry Art Centre in St. Charles, MO. and Kirkwood Park. Each concert for this season will explored four facets of musical expression: Tradition, Celebration, Love, Americana. The season was full of highlights. Two very special guest soloists joined us – Jennifer Lim-Judd, Associate Professor of Music at East Central College, as piano soloist for Gershwin’s Rhapsody in Blue in November, and Thomas Jöstlein, Associate Principal French Horn of the Saint Louis Symphony as soloist in February. Compositions old and new were be featured – from time-honored pieces in the Carl Fischer Military Band Journal library, published in the early 20th century, to very recent, and unique, additions to the repertoire. The season wrapped up in spectacular fashion in March with another new commission for the Wind Symphony, the premiere of prominent composer Julie Giroux’s Symphony No. 5, “Heartland Portraits”. This commission was made possible through a generous donation by Pete Poletti, principal tuba and a charter member of the Wind Symphony. We were very pleased to have Kathy Lawton Brown as our emcee this year – well known to St. Louis audiences as a host on the classical music radio station RAF-STL. With the theme of “Festival of Composers”, the 2016-17 season included six concerts that featured music by several major composers of band music – Jared Spears, Percy Grainger, Vincent Perischetti, Gustav Holst, Alfred Reed, Ralph Vaughn Williams, Clifton Williams, and John Williams. 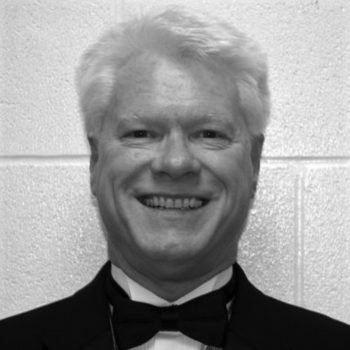 Persichetti – we welcomed back Dan Presgrave, Founder and Director Emeritus, Saint Louis Wind Symphony to conduct the title work for this concert –Persichetti’s Symphony No. 6 For Band, Opus 69. Also: Clifton Williams’ Strategic Air Command March, a brass feature (arranged by Wind Symphony member Chris Woods), a woodwind feature, a the premiere of a new composition by Wind Symphony member Dallas Blair. Pairs – four composers, four pairs of pieces. Adding a fresh dimension, our newest endeavor, the Saint Louis Wind Symphony Youth Ensemble, made its debut. The Flute Choir, drawn from members of our flute section, was the featured chamber group. We also presented this concert at St. Genevieve HS, sponsored by the Mineral Area Arts Council and a Missouri Arts Council Touring Grant Concert. Each concert also included chamber performances and we ended the year with a chamber concert as part of the Shepley Concert Series at Christ Church Cathedral, St. Louis, MO. The 2017-18 season began on October 1st in a new venue for us (the Lee Theatre in the Touhill Center on the UMSL campus) and featured principal oboe Cathy Woelbling-Paul performing Marcello’s Concerto in C Minor for Oboe. Following the One of Our Own theme, we premiered Dallas Blair’s (trumpet section) Symphonic Suite and performed Wind Dancer by Jared Spears (Composer in Residence). The November 12th concert found us in our usual place at the Keating Performance Center on the campus of Kirkwood High School. Principal Trumpet Lisa Blackmore was the soloist on Concerto for Trumpet and Wind Ensemble by Daniel Eichenbaum, a piece that was composed for Lisa and commissioned by the UMSL Wind Ensemble, Gary Brande, Conductor. Other major works on this concert were Grainger’s Lincolnshire Posy and the third movement from Symphony No. 3 by James Barnes. A repeat appearance at East Central College in Union Missouri took place on November 17th and featured music from the first two concert. As always with this concert there was a large and enthusiastic audience. The return of a Holiday Concert took place on December 7, 2017 at the newly remodeled sanctuary at Kirkwood United Methodist Church. Joining the Wind Symphony for some holiday classics was the ReBELLion Handbell Choir led by Dolan Bayless, director of the Chancel Choir at KUMC. The combination of the Wind Ensemble and Bells made for some joyous sounds of the holiday season. Steve Repking, Flute; Ginger Tice, Clarinet and Shelley Layton. Alto Saxophone were featured on Suite for Flute, Clarinet and Alto Saxophone by Claude T. Smith. 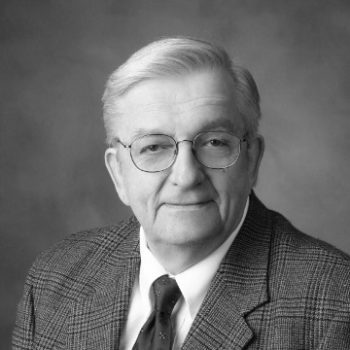 Director Emeritus Dan Presgrave conducted the third movement of Howard Hanson’s Symphony No. 2 “Romantic”. March 4th found the Wind Symphony again at the Viraugh Center along with the STL Wind Symphony Youth Ensemble conducted by Gary Brandes and Andy Messerli. Featured soloist was principal clarinet Bob Bauman on Woody Herman’s Concerto for Clarinet. The second premiere performance of this season featured Concerto for Wind Ensemble by Robert Langenfeld. This piece was written for and commissioned by the Wind Symphony. On May 6th we shared a concert with the Central VAP Wind Ensemble directed by Matthew Banks. The bands combined to perform Ghost Run by Grant Michel, Symphonic Suite from Star Trek. By Michael Giacchino And Sousa’s The Stars and Stripes Forever. The season came to a conclusion on June 24th with a return to Kirkwood United Methodist Church for a Pops/Patriotic concert that included an ice cream social sponsored by the KUMC Chancel Choir. We hope that you can join us live for one of our concerts. In the meantime, if you would like to get a sample of how we look and sound, here are some audio and video clips from our performances. If you like what you see and hear, come to our upcoming concerts and become a supporting member. The Saint Louis Wind Symphony also has a channel on YouTube, so you can see some clips of our live performances. You can go directly to the channel stlwindsym, or simply search for “St. Louis Wind Symphony” on YouTube. The Saint Louis Wind Symphony had its first concert of the 2011 season on September 25th. The concert included new music, classics, chamber music, and even some Broadway show tunes! If you weren’t able to join us, here is a clip of American Overture for Band, by Joseph Wilcox Jenkins. Remember, these clips and more are all available on YouTube. Russian Christmas Music is a pillar in the wind band repertoire and has established Alfred Reed as one of the most important composers for symphonic band and wind ensemble in the last half of the 20th Century. Here Colonel Arnald Gabriel, retired director of the U.S. Air Force Band, is the guest conductor of the Saint Louis Wind Symphony in a January, 2011 concert. Here is the Saint Louis Wind Symphony’s traditional closing piece, America the Beautiful, arranged by Carmen Dragon. All rehearsals are 1:30 – 4:00 p.m. at Chaminade College Preparatory School unless indicated differently.